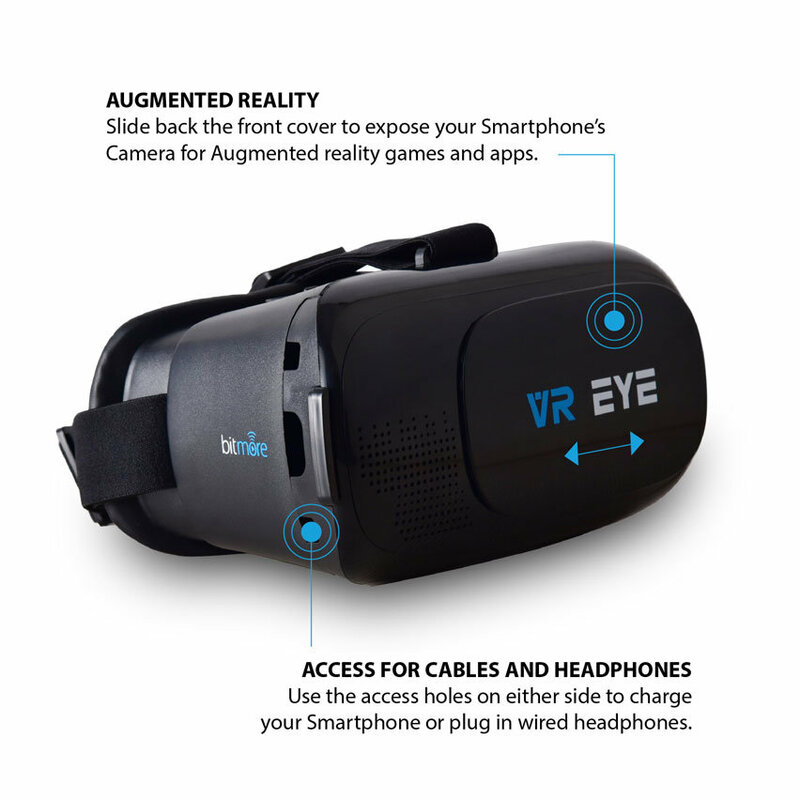 Discover new worlds through your smartphone with the Bitmore VR Eye Virtual Reality Headset. 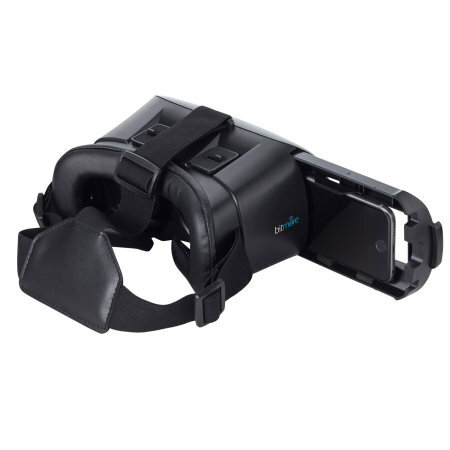 This sturdy, immersive headset comes with an adjustable head strap and a Bluetooth remote control. I expect to get many hours of enjoyment from this headset. Very well made and comfortable to wear. Thoroughly enjoying the experience so far. 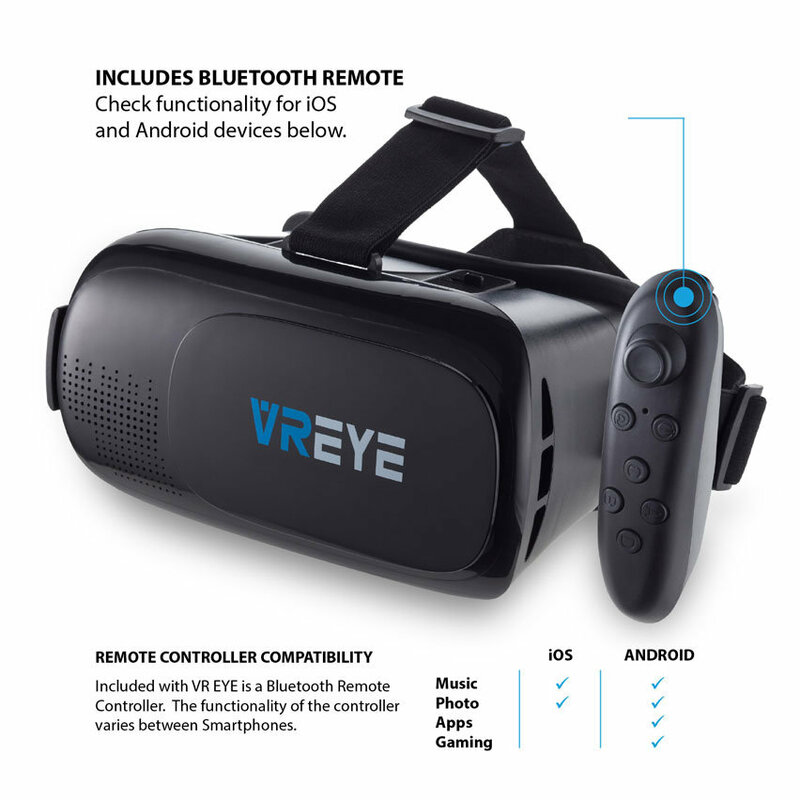 Compatible with virtually all smartphones between 4" to 6.5"
Transform any smartphone into a VR device and immerse yourself in high-quality YouTube videos, 3D movies, games and augmented reality apps. 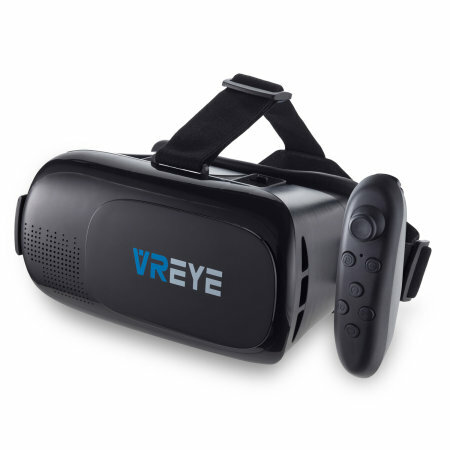 The way the headset encompasses your eyes means hardly any external light gets in, creating the perfect dark environment for you to explore virtual worlds or experience sports or films like you were right there in the action. 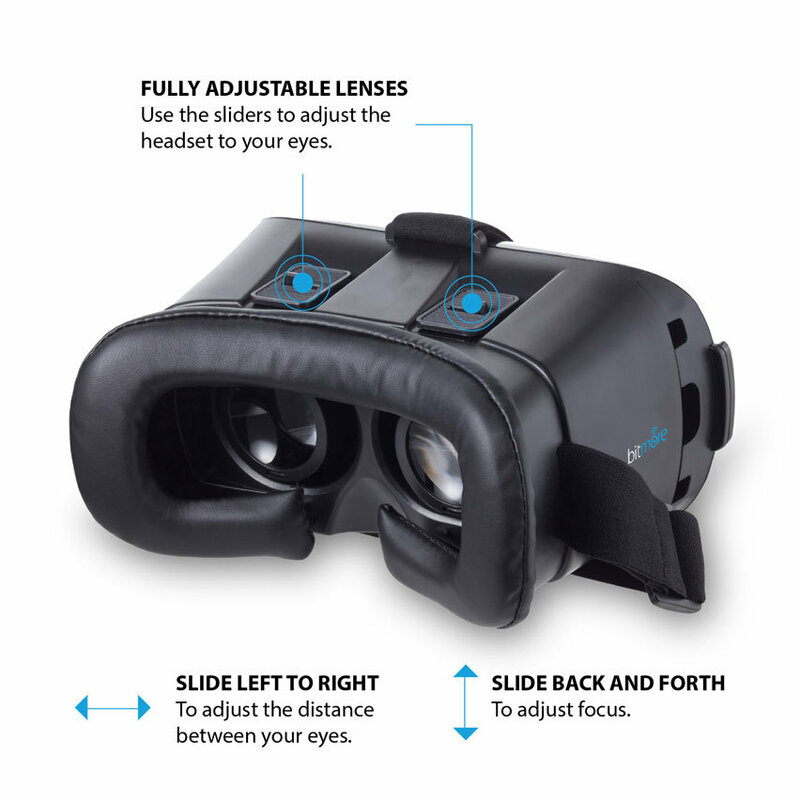 A sliding panel at the front of the VR Eye means you can use your phone's camera while you wear the headset. Great for adding fun filters in camera apps or playing augmented reality(AR) games. 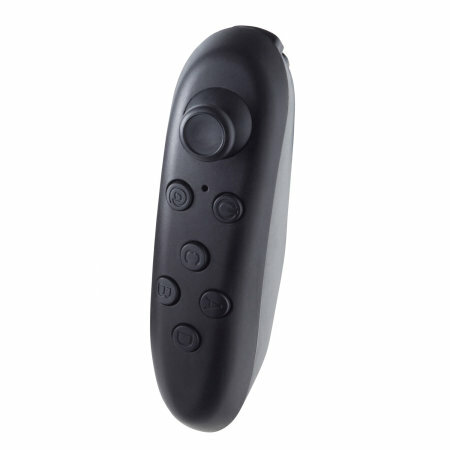 Included with the VR Eye headset is a Bluetooth remote control, perfect for playing games and controlling apps without having to remove your smartphone from the headset. 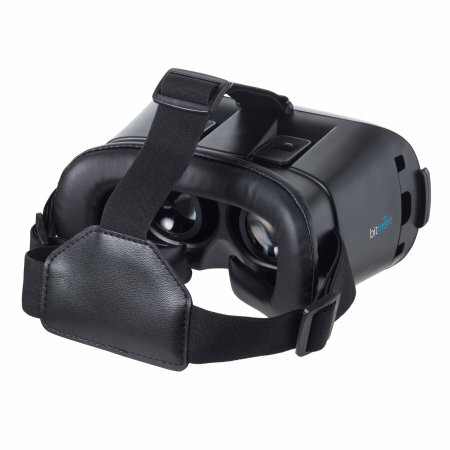 Wearing a VR headset for a while can be an uncomfortable experience. 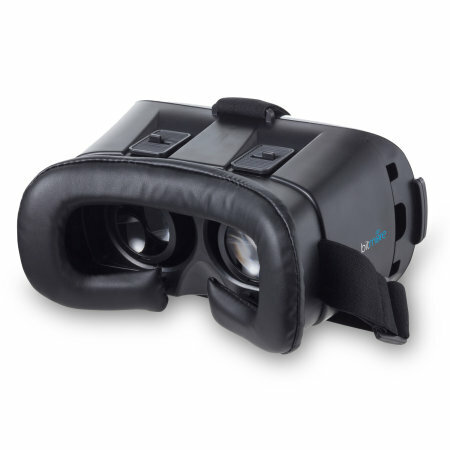 Not with the VR Eye, though, which features a soft foam cushioning around the eyes and an adjustable head strap for maximum comfort. 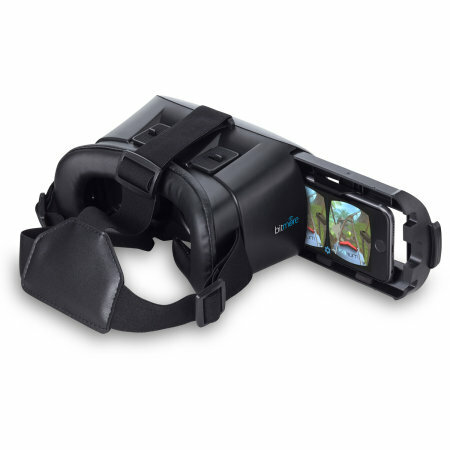 The VR Eye is compatible with any smartphone with a screen between 4" and 6.5", which is the vast majority of smartphones on the market. 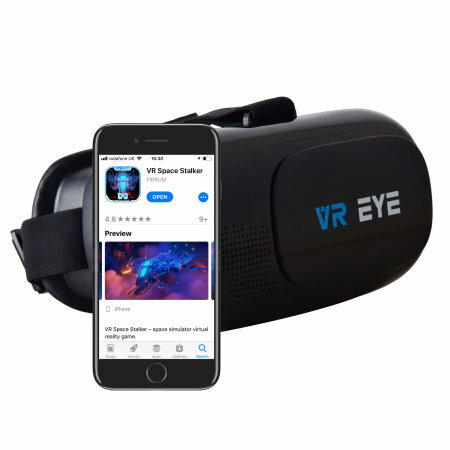 From the Samsung Galaxy S9 to the iPhone X, there's something for everyone's phone in the VR Eye. 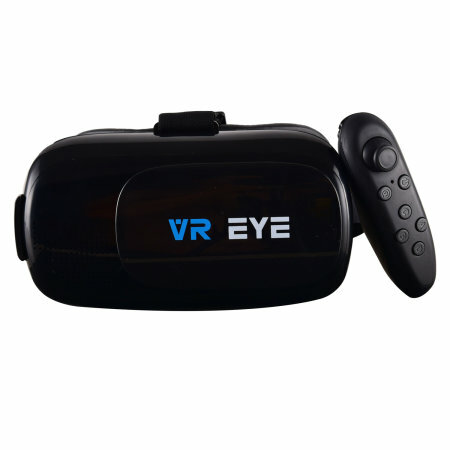 The VR Eye features a sturdy, rigid design that means you won't damage it no matter how immersive your VR experience gets. You'll look stylish wearing it, too, thanks to a sleek minimalist aesthetic that emphasises style and function. 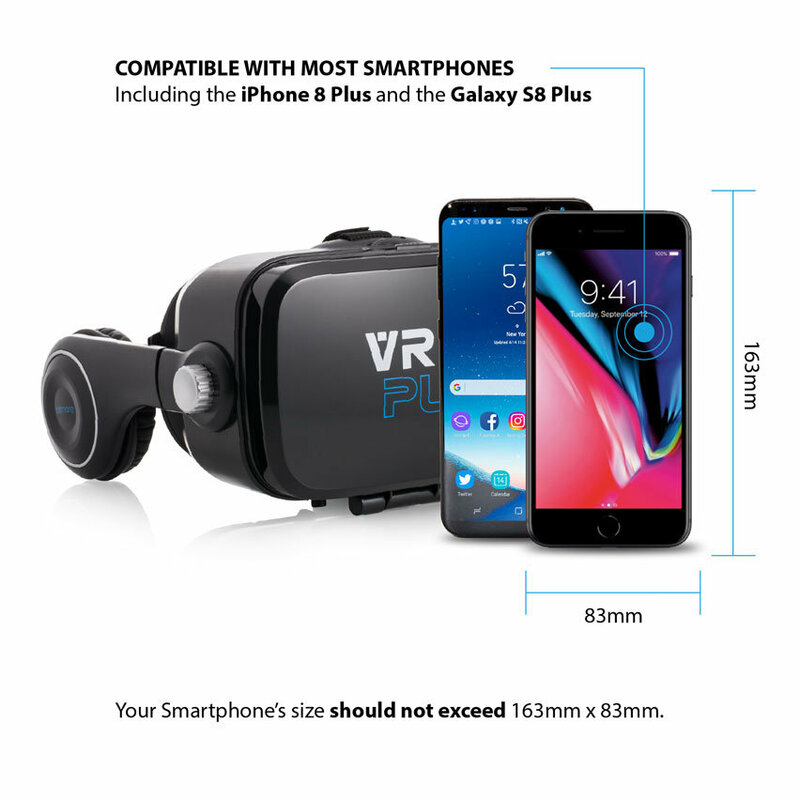 Please note: although the vast majority of smartphones are fully equipped for VR, some videos, games and apps may not be supported by your device. 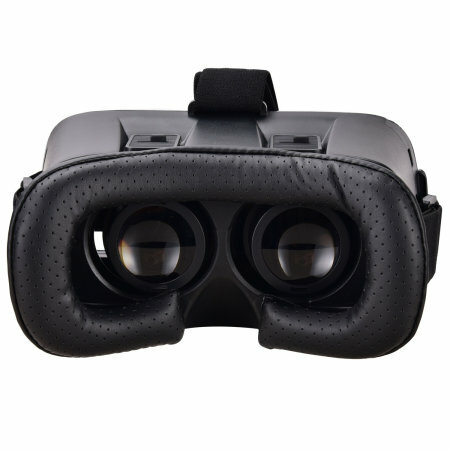 Please click here for a quick, easy way to find out if your device is 100% ready for VR.